The A-1 Alarm Protection Uplink GPS is an affordable, easy to install real-time GPS vehicle tracking solution designed to make it affordable to track your vehicles. The Uplink GPS Auto is a small vehicle-powered GPS device. It simply plugs into the OBD port found on the bottom edge of the dashboard of most vehicles manufactured since 1996 - eliminating installation challenges found in traditional tracking devices. It can also be switched between vehicles to provide the ultimate in flexibility. We have a hardwired unit that requires installation and provides for a more secure and permanent solution, the GPSHW. The UplinkGPS will help you improve productivity and safety, reduce labor and fuel costs and increase customer satisfaction. 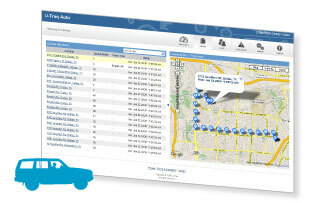 You will use your customized account website to track and manage your vehicles. 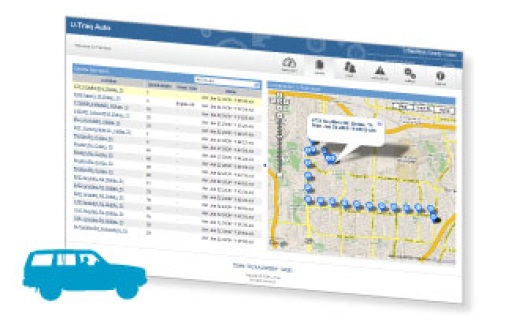 A free Smartphone is available to allow you to track your vehicle(s) while on the go. These GPS systems require a monthly monitoring/access fee. Your initial GPS purchase includes 3 months of the Basic Service Plan and account activation (A $60.00 Value). You may upgrade your service at any time with a simple phone call or email although most of our customers find the Basic Service Plan fits their needs nicely. Please see the rate sheet at the bottom of the page with all of the features and benefits of each Service Plan. The Basic Service Plan is $15.00/month billed quarterly or annually in advance. There is a 5% discount for annual payments. ACTIVATION: Once you purchase a package and receive it at your home or office, please come back to our website to provide us the information we need to activate your unit. We will activate your unit within 24 hours of receiving this information. You cannot activate your unit until you receive it because you will need the IMEI # off of the GPS. You will also be asked to approve the A-1 Alarm Protection Service Plan Agreement which you can review at the bottom of this page. 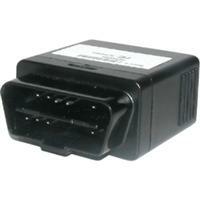 ALERT: Some vehicles OBD's have communications issues with the UplinkGPS Plug N Play Tracking System. Before ordering, please check the list at the bottom of this page. If your vehicle is listed, you must order the GPSHW hardwired unit and hard wire the unit into your vehicle to insure accurate information for your unit. 4G Hardwired model. Purchase includes 3 months Basic service & Activation. (A $60 Value). It is $15/month to continue service after the 1st 3 months. Future invoices will be emailed and due at the end of each quarter for the following quarter. After you purchase this GPS Service Plan, please create your account and register your unit here. Fleet discounts are available for 6 or more units. Please contact us for a customized quote based on your budget & needs.